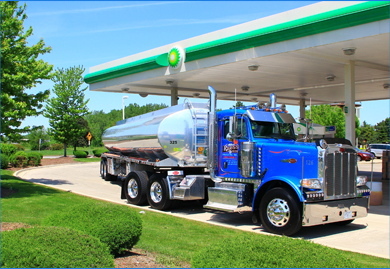 ABOUT US – M. Raess & Son Trucking, Inc.
M. Raess & Son Trucking, LLC is Chicagoland’s premier petroleum transport professionals. Located in Carol Stream, IL., we specialize in the transportation of gasoline, ethanol & diesel fuel products to local gas stations and commercial accounts. As a family owned and operated business since 1981 we employ only the best, most experienced tractor trailer drivers. We pride ourselves on specializing in exceptional service and quality second to no one. Throughout our history, we have always aspired to provide the highest level of quality and service on every single delivery, repair and lease – no matter how large or small. Because of this, we have developed a prestigious customer roster in which we have built respect and maintained long term relationships with, while meeting and surpassing the needs of today’s customers.